Instead of looking up at the stars, we can look over the players upon the stage and know the universe..
My guests today are Robin Whittaker (Artistic Producer at Theatre St Thomas) and Becca (actor). 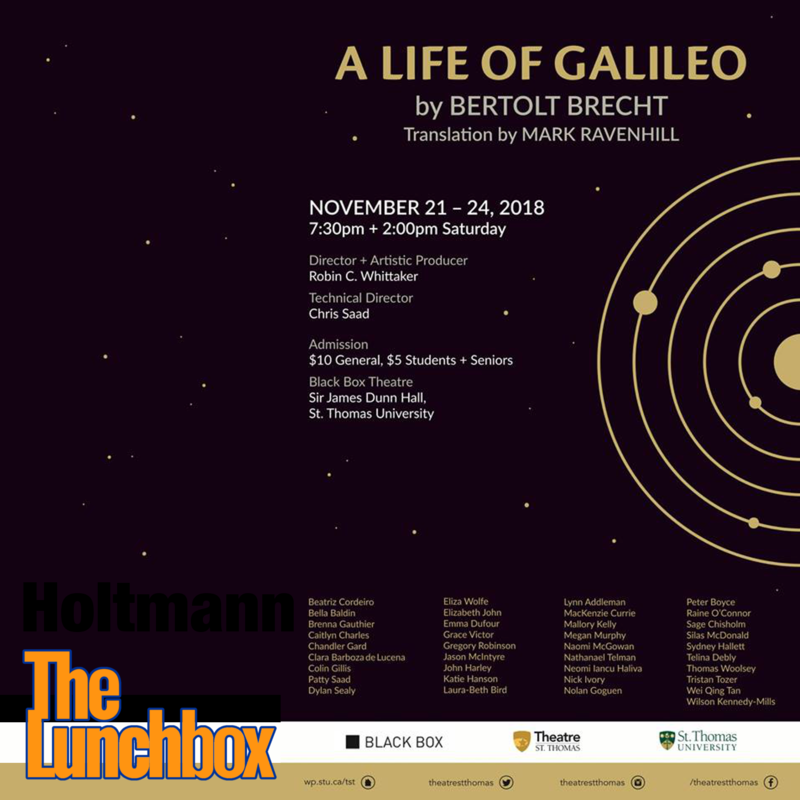 They join me to talk about the upcoming TST performance of an adaptation of a Bertholt Brecht play, entitled “A Life of Galileo”. 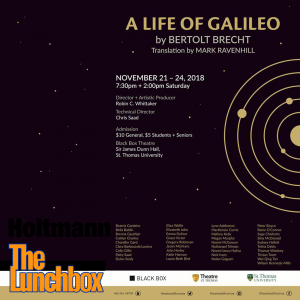 We talk about the unusual staging of this play, it’s look at Galileo, and how the play fits into a year-long celebration of Galileo’s life and work. The play runs November 21-24 at the Black Box Theatre at STU.